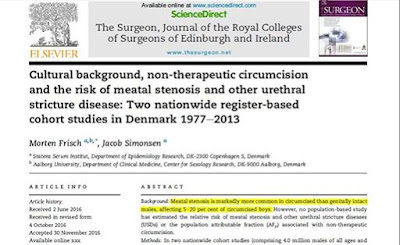 The Chronicle of Cultural Misandry: Revealing Study Suggests Circumcision Causes Urethral Stricture Diseases. Revealing Study Suggests Circumcision Causes Urethral Stricture Diseases. Damage to bladder or kidney function in severe cases"